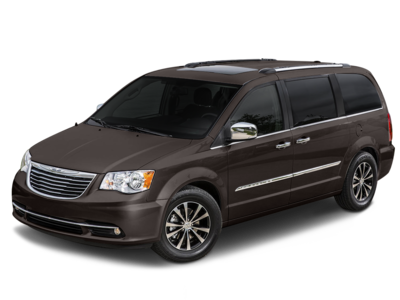 Coming in at number 10 in our list of Best Gas Mileage Minivans is the 2016 Chrysler Town and Country. Current inventory meeting this criteria averages 39,275 miles. The 2016 Town and Country achieves a combined MPG figure of 20. Scroll down to see what's available in your area right now. Slotting in at ninth for Best Gas Mileage Minivans is the 2012 Volkswagen Routan. Current inventory meeting this criteria averages 71,660 miles. The 2012 Routan achieves a combined MPG figure of 20. Scroll down to see what's available in your area right now. The 2017 Toyota Sienna is number 8 in our list for Best Gas Mileage Minivans. Current inventory meeting this criteria averages 15,382 miles. Fuel economy is rated at 21 MPG combined. Scroll down to see what's available in your area right now. The 2015 Honda Odyssey is number 7 in our list for Best Gas Mileage Minivans. Current inventory meeting this criteria averages 37,523 miles. Fuel economy is rated at 22 MPG combined. Scroll down to see available inventory for 2015 Odysseys in your area. The 2016 Ford Transit Connect is number 6 in our list for Best Gas Mileage Minivans. Current inventory meeting this criteria averages 16,625 miles. Fuel economy is rated at 23 MPG combined. Scroll down to see what's available in your area right now. Slotting in at fifth for Best Gas Mileage Minivans is the 2016 Nissan Quest. Current inventory meeting this criteria averages 40,411 miles. Fuel economy is rated at 23 MPG combined. Take a look below to find the Quest in your area that suits you best! The 2017 RAM ProMaster City is number 4 in our list for Best Gas Mileage Minivans. Current inventory meeting this criteria averages 2,585 miles. The 2017 ProMaster City achieves a combined MPG figure of 24. Scroll down to see available inventory for 2017 ProMaster Citys in your area. Ranking third for Best Gas Mileage Minivans is the 2017 RAM ProMaster City. Current inventory meeting this criteria averages 2,585 miles. The 2017 ProMaster City achieves a combined MPG figure of 24. Take a look below to find the ProMaster City in your area that suits you best! Slotting in at second for Best Gas Mileage Minivans is the 2015 Mazda MAZDA5. Current inventory meeting this criteria averages 39,098 miles. The 2015 MAZDA5 achieves a combined MPG figure of 24. Take a look below to find the MAZDA5 in your area that suits you best! Ranking first for Best Gas Mileage Minivans is the 2017 Nissan NV200. Current inventory meeting this criteria averages 10,399 miles. The 2017 NV200 achieves a combined MPG figure of 25. Scroll down to see available inventory for 2017 NV200s in your area.